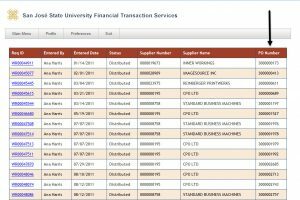 Some new and exciting enhancements as well as a resolution to a problem with the upload feature were made to the FTS Purchasing/Payment module. 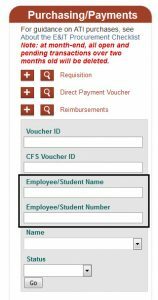 Last month, users reported being unable to upload additional backup documentation for Distributed status Requisition and Vouchers (Direct Payment and Employee/Student Reimbursement). The upload feature is available again. 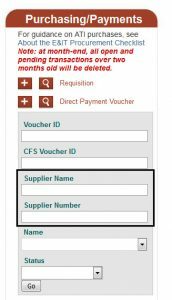 The search feature for Requisition and Vouchers has been expanded to give users flexibility in locating submitted requests. 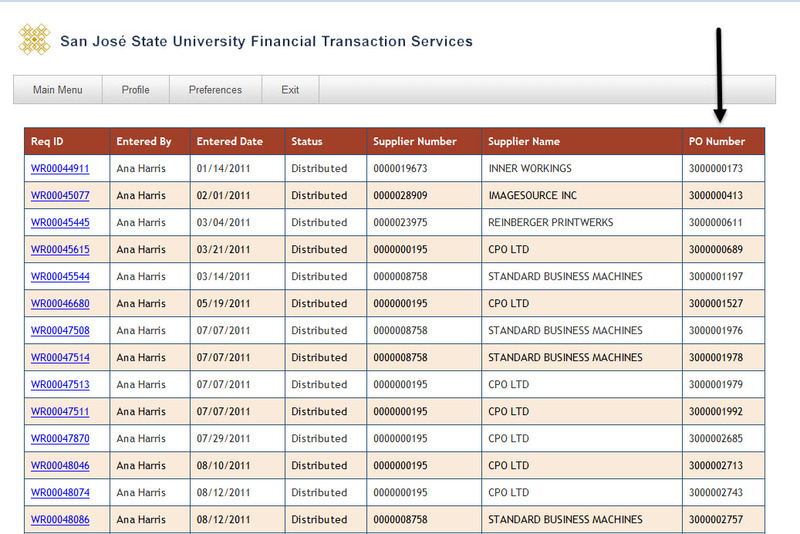 Enlarge picture by clicking on the image. 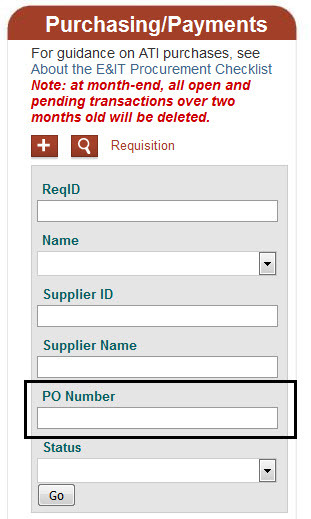 Requisition: Users can search for a request by entering the complete 10-digit Purchase Order Number. 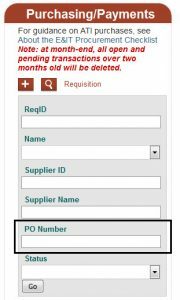 Requisition: The Purchase Order Number now displays in the search results for Requisitions. 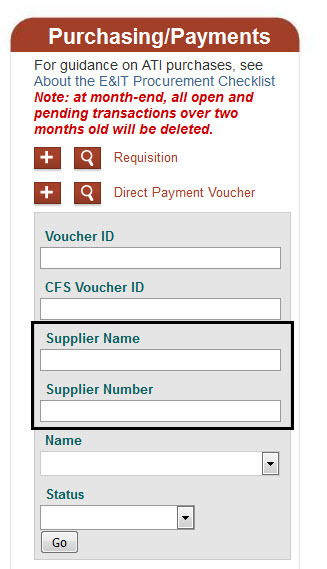 Direct Payment: Users can search for a request by entering the Supplier name or number. 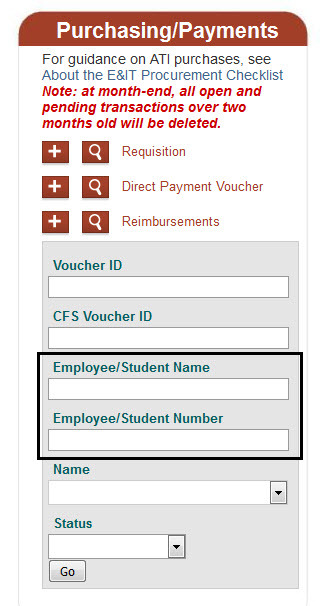 Reimbursement: Obtain search results by entering the Employee/Student name or number.